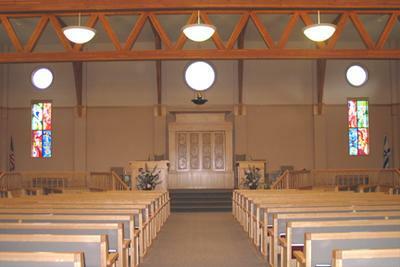 We are a Conservative synagogue of under 400 families located in southeast Denver, in the heart of Denver's Jewish community. Our members represent a cross-section of the population, from our founding senior members and older recent residents to Denver, to families with children of all ages, single parents and their families, singles and couples with diverse experiences and backgrounds, and many young people seeking connection to the Jewish community. We are proud to be one of the oldest Conservative congregations in Denver. What really makes us unique is what you feel the moment you enter our doors. We welcome both new and returning members and guests with warmth and sincerity. " Haimish," Caring." "Personal," "Inviting," "Dignified," "Feeling of Family." These are all real terms spoken that describe the overall tone of our Congregation. Please take time to look through this site for just how we have become Denver's beloved small Congregation with the big programming variety for every age. And please come join us at our next religious service and social event. We'll happily welcome you! Congregation Rodef Shalom, a participatory and egalitarian conservative synagogue, envisions itself as an extended Jewish Mishpacha (family) caring for all its members. Our sages teach us that Judaism is sustained by three things, by Torah (study), by Avodah (worship), and by Gimilut Chasedeem (acts of loving-kindness). The Rodef Shalom family follows this teaching by serving the spiritual, educational and social needs of its member, and by so doing promotes the highest ideals of Conservative Judaism. Rodef Shalom has a culture of Engagement, Friendship and Support for our collective Jewish journey. Join us in enriching the Jewish life and identity for young and old, newcomers and veterans. Membership is not a ticket to activities--our doors are open to all. Rather, it is a way to participate in the service of doing. It is being a part of the mitzvah of helping to create and sustain Jewish life for those who want it, need it, and are enriched by it.